Accessing BBC iPlayer outside the UK has gotten harder in recent years. In this guide we’re taking a look at the Top 5 choices when it comes to finding the Best VPN for BBC iPlayer. There is a lot of old and outdated information floating about on the internet and many services from before 2017 no longer work with BBC iPlayer because they’ve been blocked. Below is an updated list of the top VPN services for watching BBC iPlayer in 2017 that will allow you to stream live and catch-up TV in any quality including HD. The good news is choosing a VPN service for BBC iPlayer doesn’t require much research. The most important factor is the VPN service offers a “UK Server”. Thankfully most VPN services do offer UK servers but if the service you’re considering doesn’t then avoid it. All the choices below offer UK servers and so are suitable for BBC iPlayer. The next and equally as important question is, is the VPN blocked from accessing BBC iPlayer? Unfortunately this question is impossible to answer until you’ve signed up and tested the service. Don’t worry though, we’ve done the hard work for you and tested a range of VPN services to bring you this top 5 list of the best VPN services for use with BBC iPlayer in 2017. All you need to do is select one of the services below and sign up, you can’t go wrong! IPVanish offers a big choice of server locations across the UK and all are suitable for use for watching BBC iPlayer abroad. London, Birmingham, Manchester, Livepool, Glasgow and Belfast are all available to connect to. The good news is when BBC iPlayer does a round of blocks that affects almost all VPN providers IPVanish have enough server resources to allow you to keep watching BBC iPlayer regardless of where you are in the world. Software and apps are available for desktop, laptop, tablet and mobile devices allowing you to watch BBC iPlayer on any device. 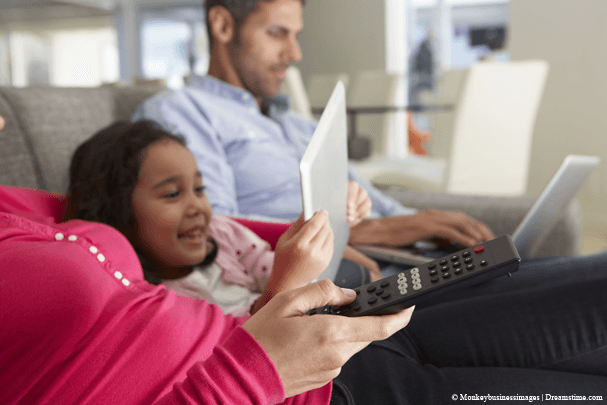 Streaming video isn’t an issue either and you’ll be able to stream in highest quality as long as your local internet connection is of good quality. IPVanish is definitely my go to VPN service when wanting to watch BBC iPlayer on the move. If you want to test a VPN service first with BBC iPlayer then ExpressVPN should be your first port of call. This large VPN provider offers a 1 month money back guarantee that will allow you to watch as much BBC iPlayer as you want without any risk. If in the unlikely event it didn’t work for BBC iPlayer then you can get your money back. The service costs a bit more than others of equal quality which is a bit of a downside but there are a lot of features outside of just watching BBC iPlayer such as the 87 different countries available. If you require these extras then the pound or two extra per month shouldn’t seem like such a big hit. Speeds are good on the service and you will have no trouble streaming live or catch-up content. They might not be one of the big names in the industry but the service is up there with the best. Speeds are higher than average which means you’re unlikely to suffer any buffering or stuttering. The price of the VPN.ac service when taking a yearly package is one of the cheapest so if you’re counting the pennies then they’re worth considering. BBC iPlayer worked fine in our testing and in fact when BBC rolled out a round of VPN blocks back in 2016 VPN.ac was one of the only providers untouched. Best of all, you can connect to any of their worldwide locations and watch BBC iPlayer without an issue, no need to connect to the UK. Smaller is not always better but flying under the radar to allow you to keep accessing BBC iPlayer from abroad seems to be to VPN.ac’s advantage. LiquidVPN are similar to VPN.ac in a lot of regards. They’re a smaller VPN provider that offer access to BBC iPlayer. Again one of the main benefits is if BBC iPlayer introduces a round of blocks against VPN services then providers like LiquidVPN often go unaffected as they fly under the radar. The service does have fewer servers than any other and only 2 in the UK both in Manchester. Both are fine for watching BBC iPlayer and the lower price tag should help combat the lack of servers. Speeds on the servers are generally good so you shouldn’t have any problems with buffering or stuttering. 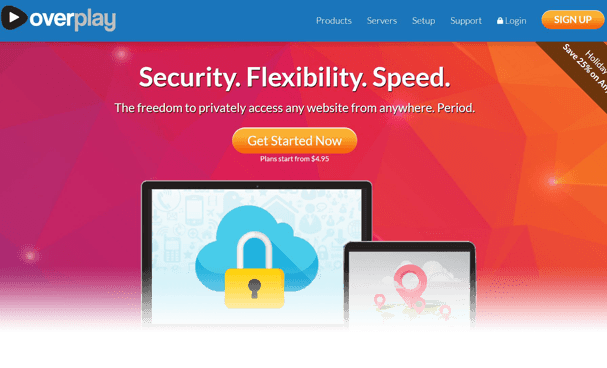 Overplay offer something a little different to the other providers in that they bundle a SmartDNS service with their VPN package. SmartDNS allows you to access blocked content such as BBC iPlayer without encryption. Encryption of a VPN is what causes the most speed loss so by using the SmartDNS to stream BBC iPlayer rather than the VPN service you limit the amount of speed loss. Alongside the SmartDNS feature you also get access to the standard VPN functions which will also allow you to watch BBC iPlayer and protect your online privacy at the same time. Essentially you get two services for the price of one. Overplay are one of the more expensive services but they’re no more expensive than ExpressVPN for example. One of the downsides is there are no mobile apps for Android or iOS so you’ll need to be confident enough to set those up manually. If you only use a Windows or Mac computer then they do have software available which makes it easy to connect.